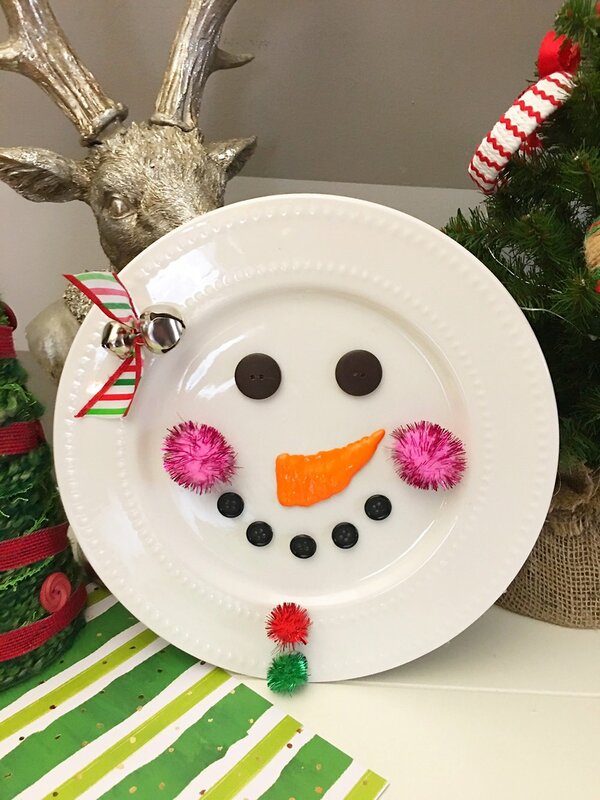 DIY Snowman Decorative Plate is an adorable addition to any Christmas decor! 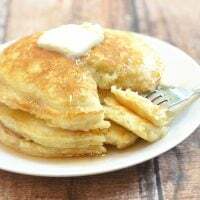 So easy and fun to make with simple supplies from the Dollar Store! Can you believe we’re 7 days away from Christmas? The whole year flew by so fast, it seemed we went from ringing in the New Year to celebrating Christmas in a blink of an eye. 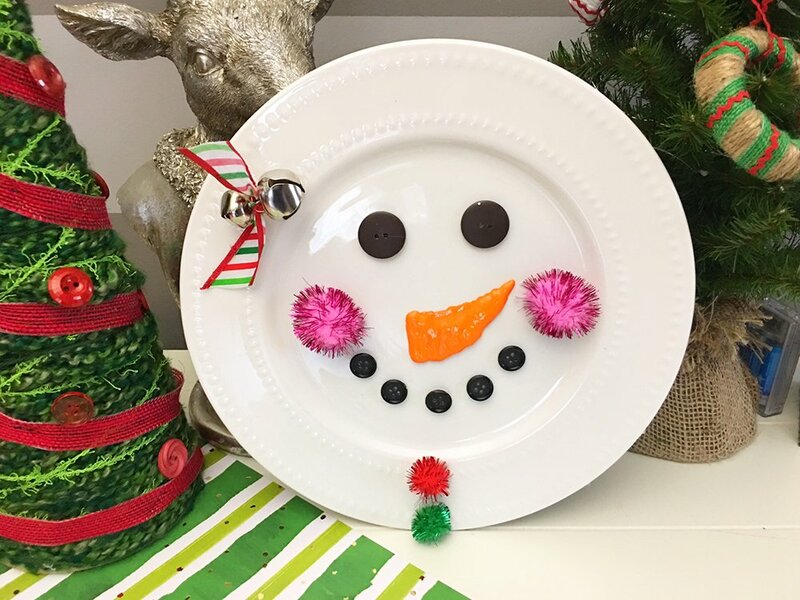 Since we’re only a week before the BIG holiday of the year, this DIY Snowman Decorative Plate might be a tad late to make but it’s so easy to put together using simple materials from your neighborhood Dollar Store, you can have one ready to display in minutes. 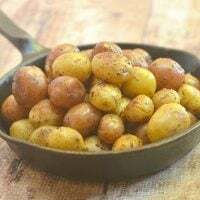 It’s such an adorable addition to your Christmas decor and, of course, can be reused again next year. Glue two large black buttons onto the top center of the white plate to look like eyes. Glue five medium black buttons underneath the eyes in the shape of a smile, leaving room for the nose in between. 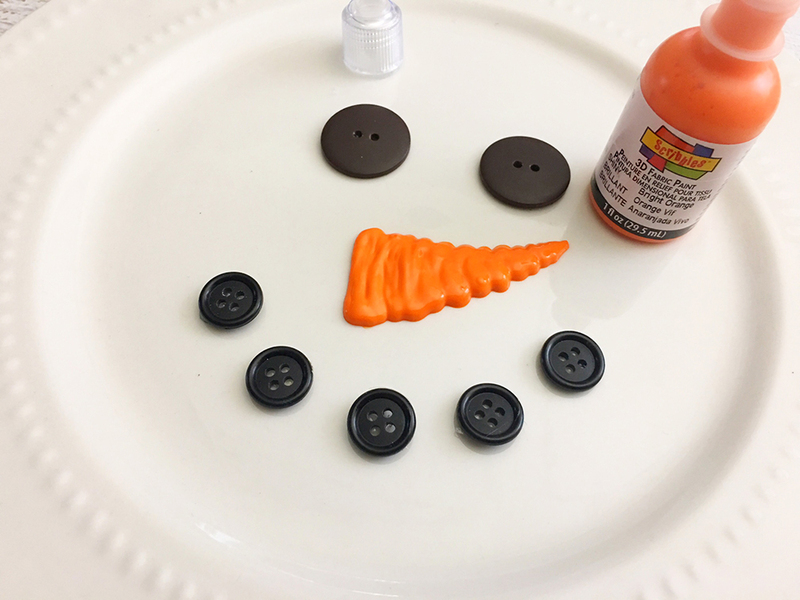 Use the orange puffy paint to draw a carrot shaped nose in between the eyes and the mouth using a back and forth motion. 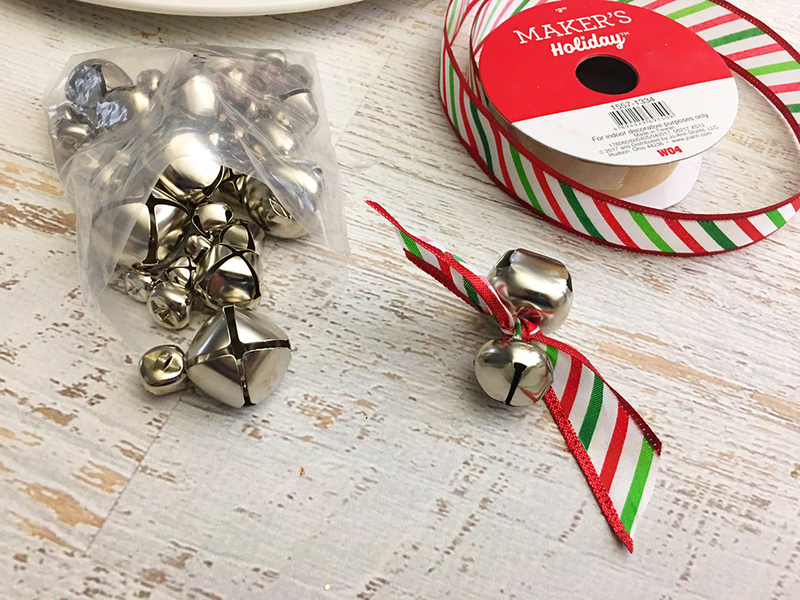 Attach 2 jingle bells to a 5-inch piece of ribbon, tie into a double knot. Glue the jingle bells to the top left corner of the snowman. 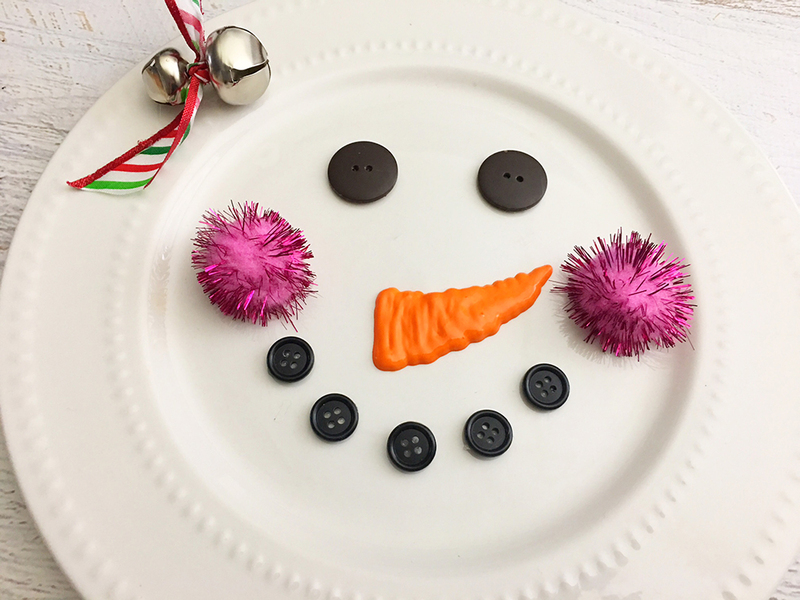 Glue the pink pom-pom balls onto the “cheeks” of the snowman. 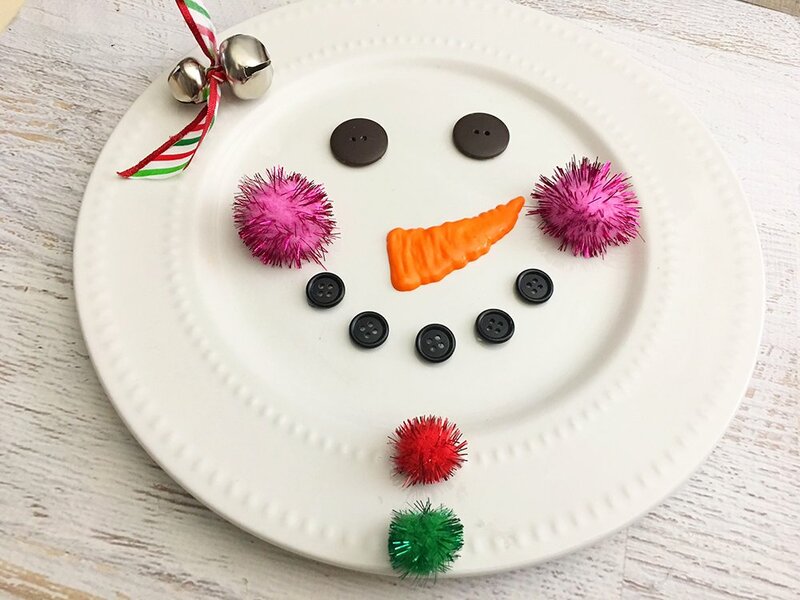 Glue a red and green pom-pom ball underneath the smile vertically to resemble snowman buttons. 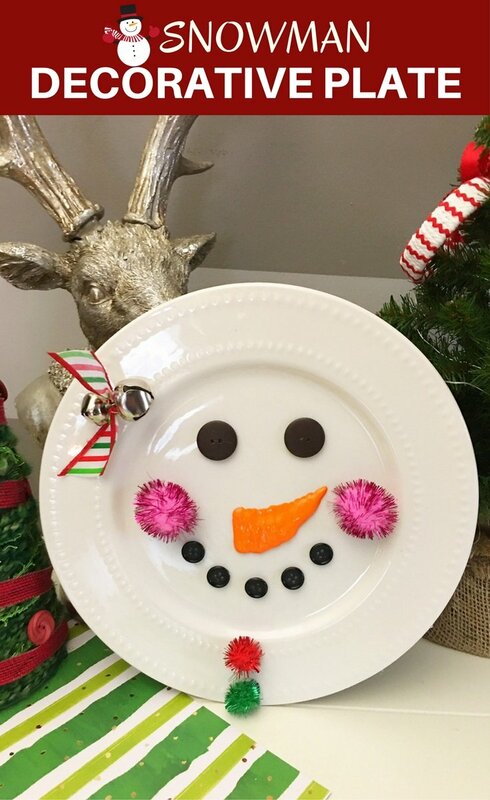 Let the snowman plate completely dry overnight and display. 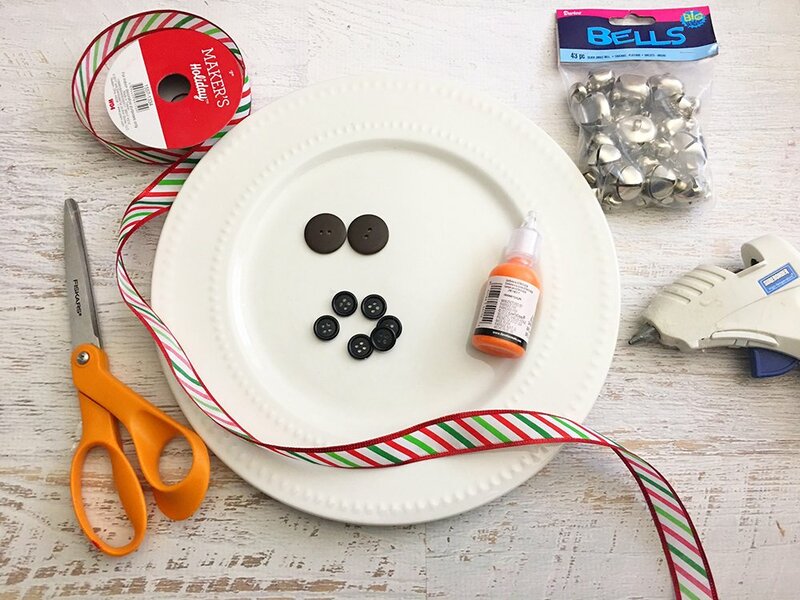 Looking for more holidays crafts? These felt Christmas stocking ornaments are perfect for hanging on your tree or adding extra cheer on your gift boxes!